Rachel and Forbes would like to extend a warm welcome to their guests into our family home. 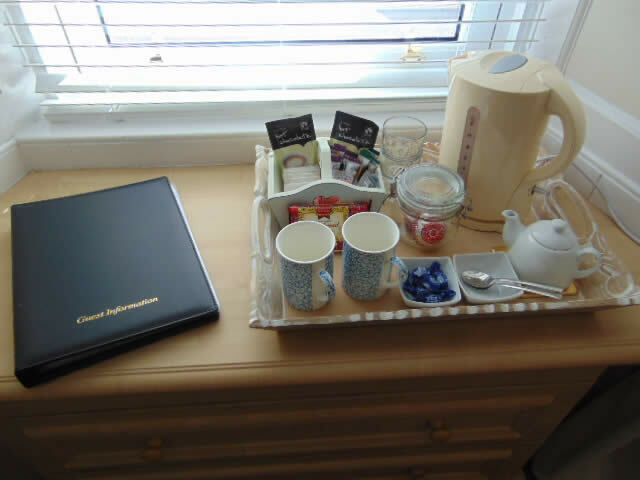 We are committed to ensuring that our guests needs and expectations are met whilst staying in Heather House. Heather House is a traditional terraced house built from the local “Pudding Stone” and has records dating back to the 24th July 1775. The house is located on the main street of Callander and is only a few minutes walk to the many shops and restaurants that are to be found within the town. 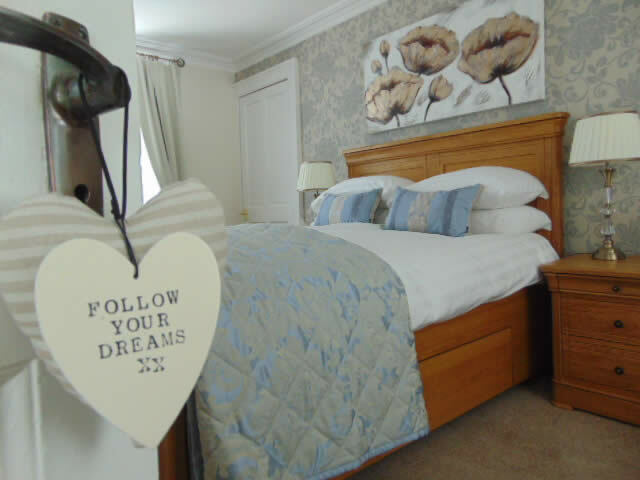 At Heather House we provide all the latest comforts in traditional surroundings with the aim of ensuring that all of our guests have a relaxing and enjoyable stay. Our room options comprise of a large double en suite bedroom and a self contained attic suite. The attic suite is ideally suited for up to 3 people - The suite consists of a double room containing a zip link bed that can be utilized as twin beds or become a king size bed, a separate bedroom which has a large trundle sofa bed and a private shower room with WC and basin situated between both rooms. Within our house, guests will have access to our dining room up to 8.30pm, where you will find a small library of books and dvd's to borrow. Private Car Parking is available for our guests along with secure bicycle storage. Packed lunches can be provided at a small extra cost upon request. Guests staying 3 nights or more would receive a £5 per night discount and guests returning within 12 months for a minimum 2 night stay would receive a £5 per night discount on the room rate. 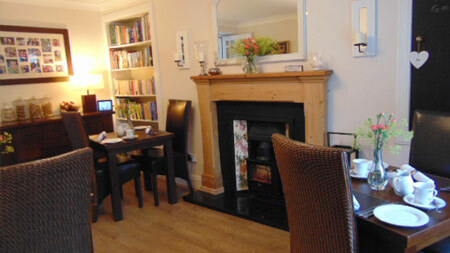 We offer our guests a varied choice of tasty breakfasts served in our quaint dining room. We will endeavour to meet any guests specific dietary requirement if advised in advance of their stay. Breakfasts are served 8am to 9am Monday to Friday and 8.30am to 9.30am on Saturday & Sunday. For any guests needing to leave very early, we can provide a packed lunch in place of a breakfast. The hospitality shown us by the owners of the Heather House Bed and Breakfast gave new meaning to the saying that the journey is the true essence of travel, not the destination. The picturesque and well situated town of Callander, whilst not our final destination on our Scotland holiday, became one of our most cherished memories on our trip. Our family still talk about the scrumptious breakfast with locally grown berries, thoughtful touches in our suite such as mid-night snacks and warm greetings by the owners. We returned from our journey feeling as though we had made new friends and will return on our next adventure into the Highlands. My partner and I went to Callander for an overnight stay at Heather House B&B. 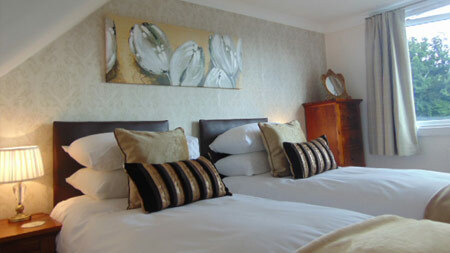 We were delighted with our stay, our room was very well decorated and cosy and the bed was very comfortable. Rachel and Forbes made us feel very welcome, and made us a fantastic breakfast with a choice of what we wanted. 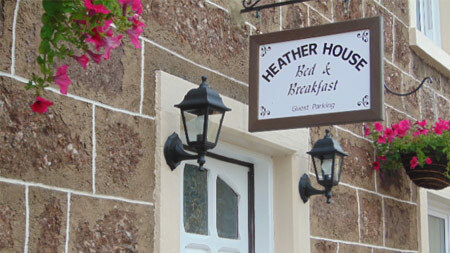 Overall, for our stay from arriving until going home, we give Heather House B&B 10 out of 10. We had a lovely stay at Heather House, everything about our stay was to the highest standard. Forbes and Rachel were extremely attentive and ensured we had a lovely stay. Breakfast was amazing and I would thoroughly recommend staying here as it's a lovely B&B, very reasonable and in a great location in Callander. Rachel and Forbes made the first stop on our Highland tour become a great experience. We felt very welcome and well accommodated. Breakfast was magnificent and the rooms are designed with many lovely details. We really enjoyed it here and it will be difficult to find such great hosts again. Callander is situated within the beautiful Loch Lomond & The Trossachs National Park and is commonly known as a Gateway to the Highlands. Within Callander and the Trossachs district, for your enjoyment there are an abundance of places to visit, sightsee, activities to participate in, craft shops for gifts/souvenir browsing, bars and restaurants. 8am to 9am Monday to Friday and 8.30am to 9.30am on Saturday & Sunday. To check availability and to book your room please enter your check-in and check-out dates. You can also read through our customer reviews. Click on a photograph below to view full screen. To book please contact us via telephone, mobile, email or the contact form below. Fill out the enquiry form below to send Heather House a message. Check in is from 3.30pm to 6.30pm.